I am a Stonyfield Blogger. All opinions are my own, we just LOVE organic yogurt! Pumpkin season is coming to an end but not before my mom could make a giant Pumpkin pie for thanksgiving. She even made it with real pumpkin and had some left over that she left at my house to make something else with. So I decided to make one of my favorite snacks, Pumpkin Yogurt Parfait. Normally, I buy yogurt with the fruit on the bottom and I have to wait until fall to get the Pumpkin flavors. So I decided to make my own version at home with a few simple ingredients. I took the homemade pumpkin puree and placed it on the bottom. This puree is just straight pumpkin, no added sugar like you sometimes get in yogurt. Then I layer Stonyfield's Smooth and Creamy lowfat vanilla on top of that. 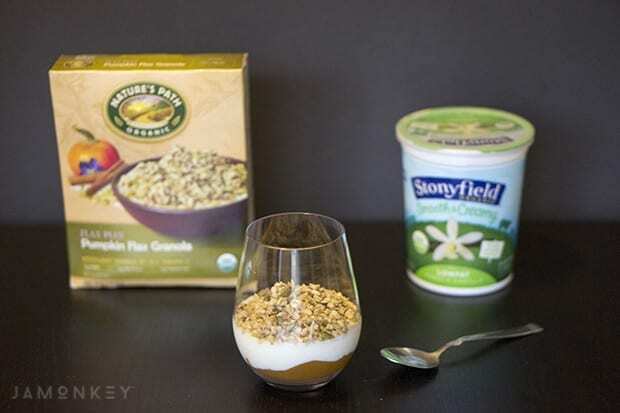 Nature's Path Organic makes a crunchy Pumpkin Flax Granola that I sprinkle on top. 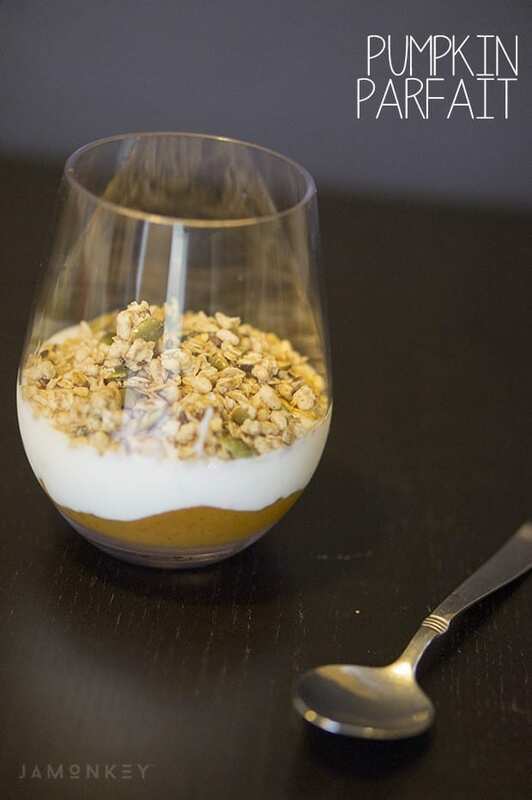 It has pumpkin seeds in it to make this an all around pumpkin parfait! Did you know I love pumpkin? Like a lot! But fresh, is always best. This snack is totally organic and it has cut some of the sugar out of it. Plus, it's really good. What are your favorite ways to eat yogurt?